Pick a famous historical figure and experience your own life as that person. What would you do? Excel in science under the extraordinary influence of Leonardo da Vinci? Spice up your daily grind with a dash of Mata Hari? Unnerve your neighbors as Edgar Allan Poe? Or, for those who like to live dangerously, there are whispers of a black market where no one is forbidden. A word of caution: Previous performance does not guarantee future predictability. And in the hands of these masters of science fiction and fantasy, your experience of past lives reborn may not be at all what you expect. 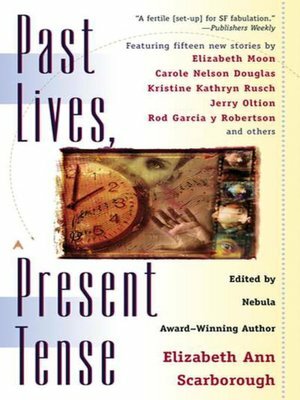 Edited by Nebula Award-Winning Author Elizabeth Ann Scarborough. Featuring fifteen new stories by Elizabeth Moon, Carole Nelson Douglas, Kristine Kathryn Rusch, Jerry Oltion, Rod Garcia y Robertson, and others.